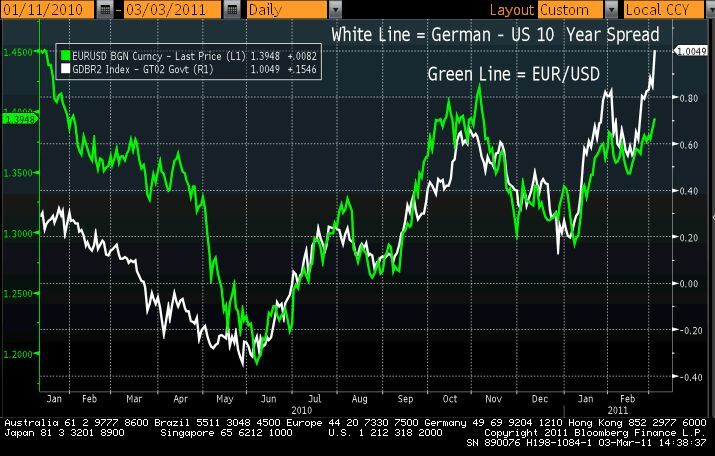 Over the past year, the German-US 10 year yield has been a fantastic leading indicator for the EUR/USD. Following Trichet’s latest comments, the spread has soared which in turn points to further gains in the EUR/USD! ← EUR/USD Headed for 1.40 after ECB?